Andy Ryan enjoys the newly established 7th grade at St. Mary’s School, Cortland. Andy Ryan has been saved by the bell. The school bell, that is. On September 4, 2013, the first day of school, St. Mary’s School in Cortland opened its doors to its first 7th grade class in over 30 years. Andy was one of 13 seventh graders who entered this fall. Andy thought that he would probably have to attend 7th grade at a public school until he heard last year that the new 7th grade would be put in place at St. Mary’s this September. 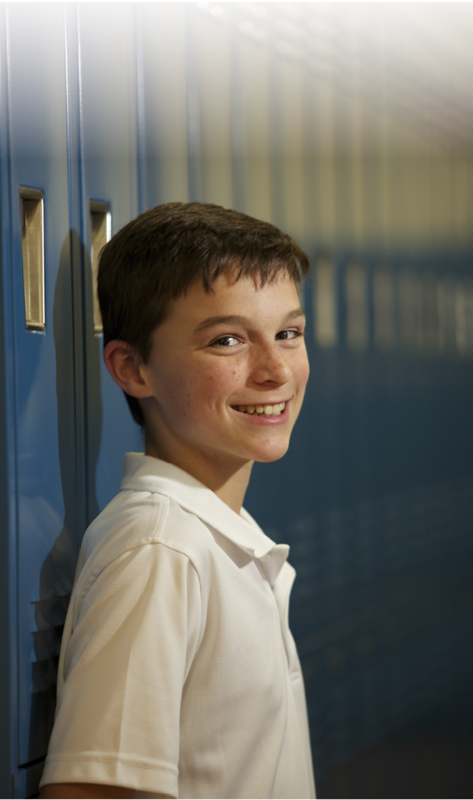 “My parents left the decision up to me,” said Andy, who entered St. Mary’s as a 5th grader from a public school. “I never wanted to leave St. Mary’s. I knew it would never be the same without my friends if I went to a public school.” Denise Hall, principal at St. Mary’s, said parents have wanted a junior high for a long time. 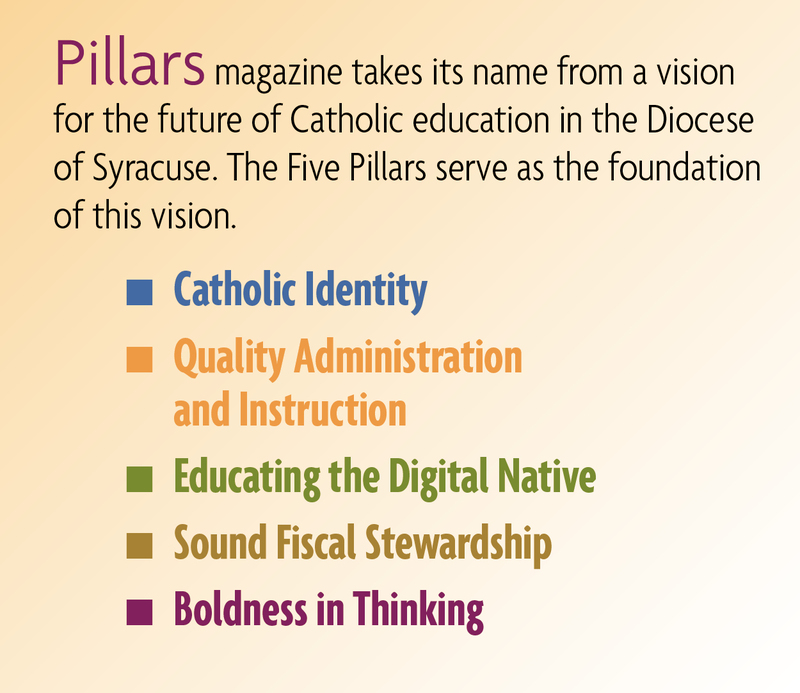 In the past, students had to travel to Binghamton or Syracuse to continue their Catholic education after 6th grade. “Many parents are not ready to let go of the small setting where everyone knows and cares for their child,” said Hall. “They have expres­sed that 7th and 8th grade are very formative years, and they want their children in St. Mary’s. The 7th graders’ school day is very different from what they were accustomed to in the elementary grades. The junior high students move freely throughout the school between classes, with their iPads marking the beginning and end of the class periods. A total of 13 teachers instruct the young teens in the subjects of English language arts, home and careers, math, social studies, science, French, Spanish, physical education, art and music. They also belong to clubs and engage in sports that are only available to 7th graders. In addition, the 7th grade students also have a “lounge” they can call their own. The room was designed by parents and students and is used for their study halls and sometimes religion classes. Hall said that St. Mary’s educational program meets all of the New York State program requirements for 7th grade. The school prepares the 7th graders for a public high school environment by offering classes that prepare them for a New York State Regents diploma, classes in French or Spanish and advanced classes in math. The students also have the opportunity to take band, orchestra or general music to fulfill their music requirement.